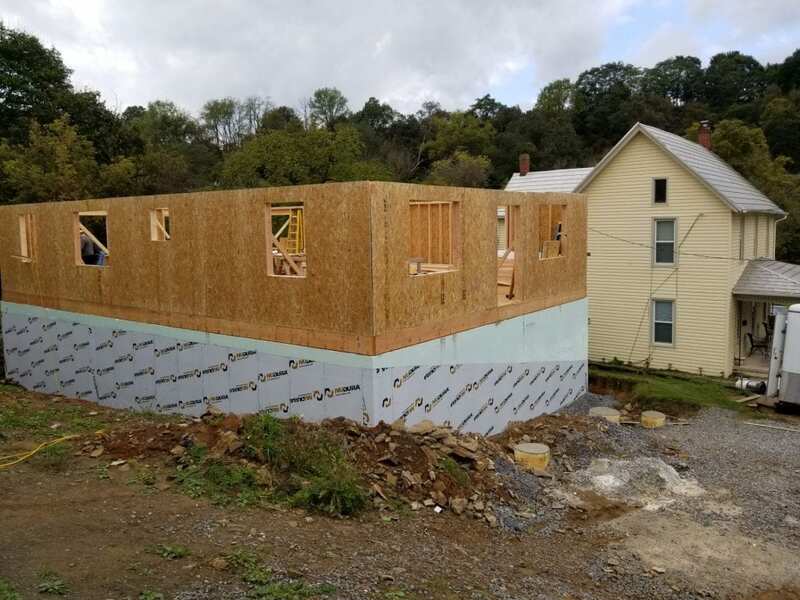 With the temperatures dropping and leaves changing, Construction Supervisor for the Greater Centre County Habitat for Humanity, Larry Lucas, has been pushing to get the current build site at 351 Reynolds Ave in Bellefonte ready for winter. 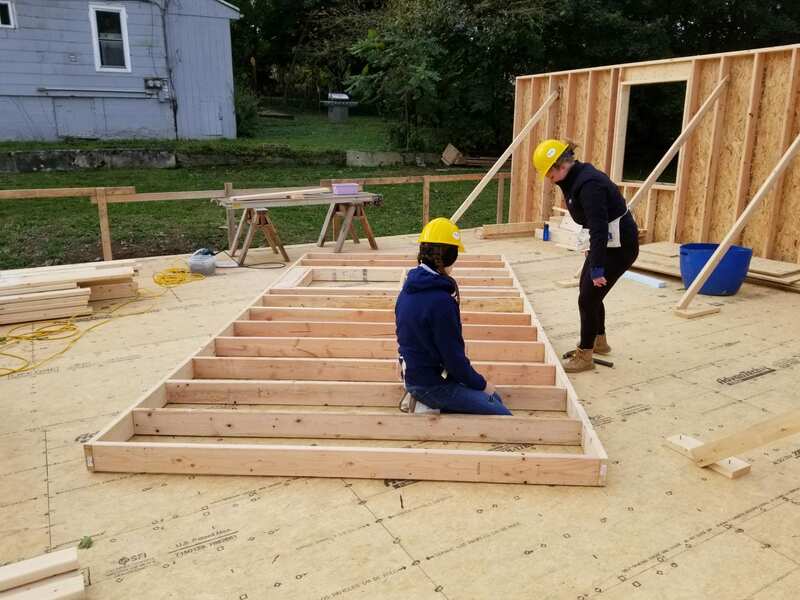 To help reach this goal, members of the Penn State Solar Decathlon Team volunteered on Saturday, October 20th and helped with first floor wall framing. 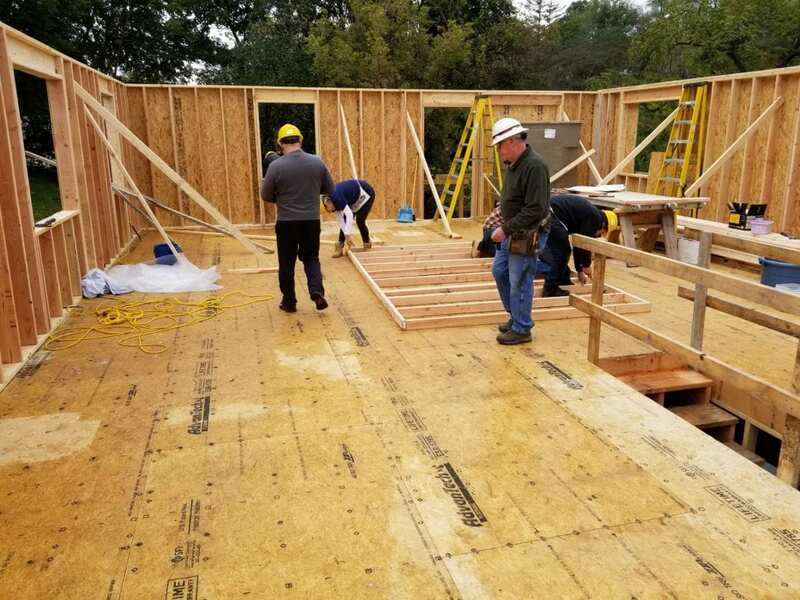 By the end of the day, the team of volunteers successfully finished framing out the exterior walls of the first floor and worked on several interior walls. During this process, it was discovered that the stairs for the basement were not in the correct place, causing the hallway to be too small. Quickly, the Penn State Team jumped into action, looking at the plans, and utilizing the knowledge from last years’ competition to come up with a solution with Larry. The team not only learned how wall systems are put together, but also got to experience what Habitat for Humanity represents. The experience was also further supplemented by the team working side by side with several members of the family buying the home. Seeing the self driven passion, how a family came together to help their relatives, showed how much the home meant to them. 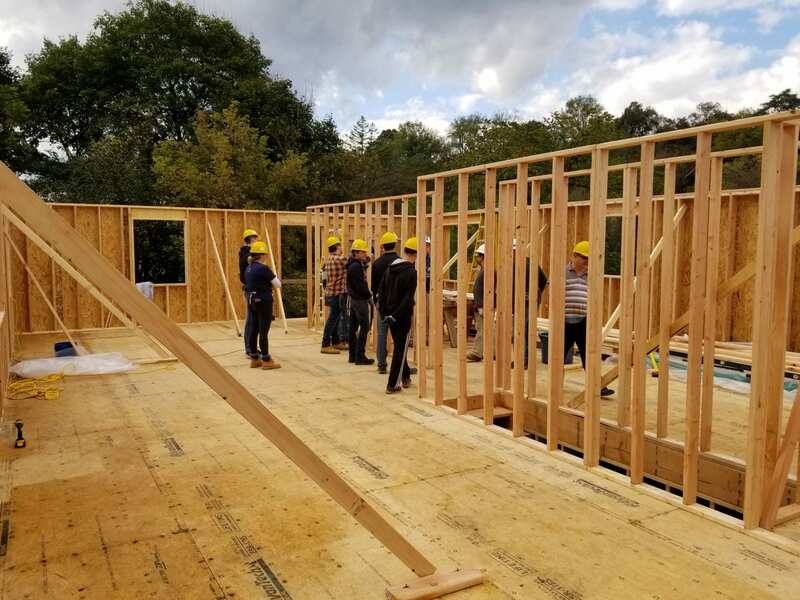 To learn more about the new Habitat for Humanity home at 351 Reynolds Ave in Bellefonte, PA or to learn how you can get involved with the Penn State Solar Decathlon competition that is partnering with Habitat for Humanity, contact Blaise Waligun at bfw5111@psu.edu!